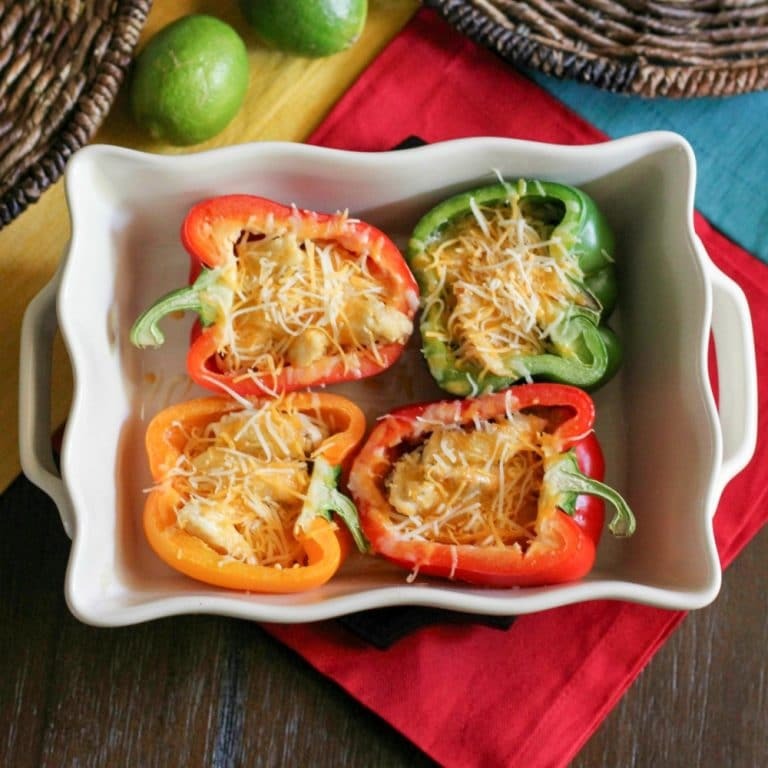 I have to tell you, this chicken fajita stuffed bell pepper recipe is quite amazing. 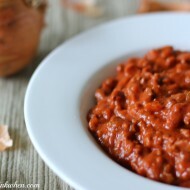 In fact, it’s quickly become one of my favorite bell pepper recipes. Loaded up with cilantro flavored quinoa, chicken fajita meat, low fat shredded cheese, and topped with cilantro and avocado. You can eat it alone or with salad. 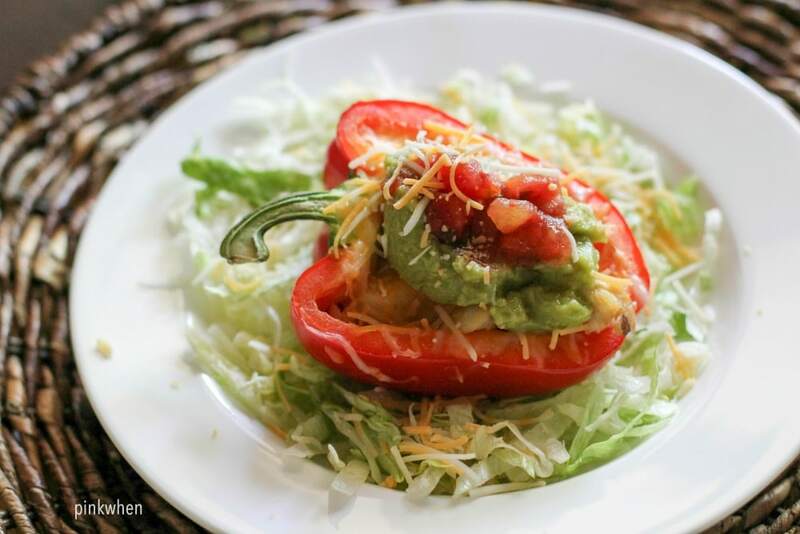 Either way, this chicken fajita stuffed bell pepper is AMAZING. Are you following me on Pinterest yet? I love how easy this recipe is to put together. It’s also one of my absolute favorite dishes. There are so many different reasons why this I love this, but you will just have to taste it to believe it. To get started heat oven to 350. 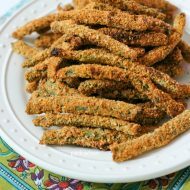 Mix salt, pepper, cilantro, cumin, chili powder, and quinoa together and place to the side. Cut the bell pepper in half (if you haven’t already) and clean out the seeds. 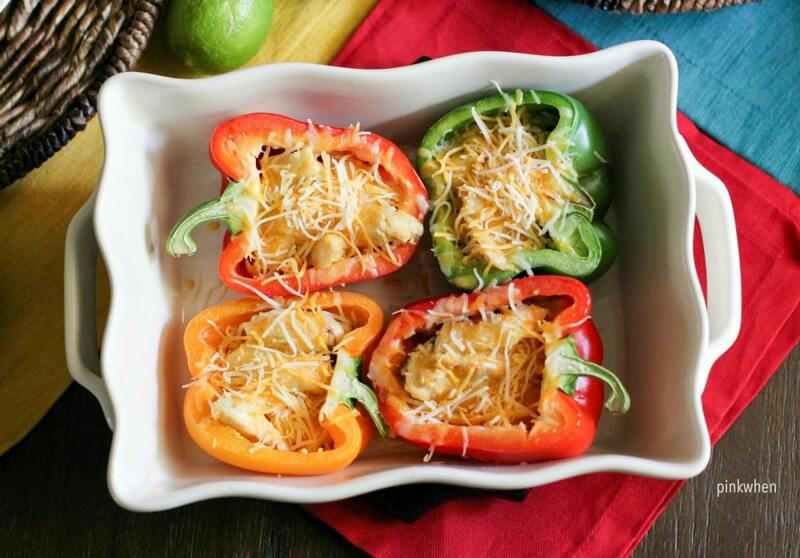 Layer quinoa and then grilled chicken into the pepper, and then top each with cheese. Place in the oven for about 10 minutes until the bell pepper has softened. 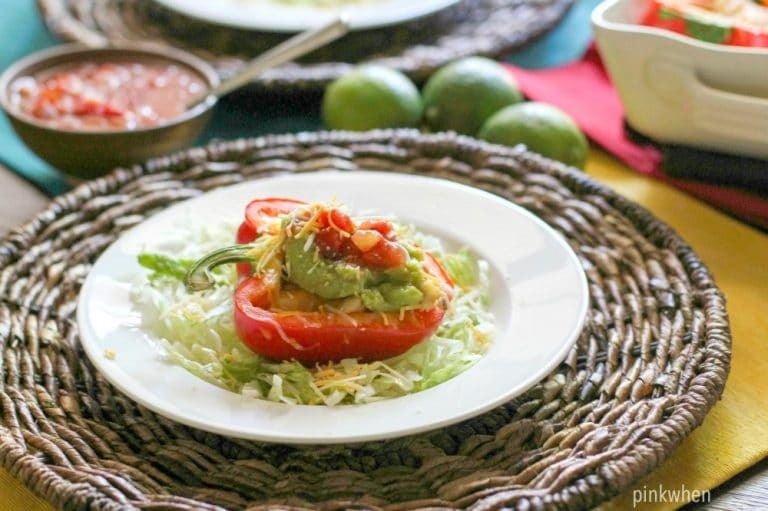 Top with avocado and serve with shredded lettuce and salsa for a complete meal. This is SO GOOD! 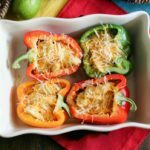 I love bell peppers, and I love all of these flavors that are married together that make this chicken fajita stuffed bell pepper so amazing. I could seriously just eat the flavored quinoa all by itself. 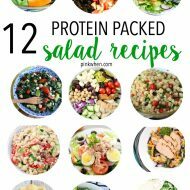 If you are looking for even more delicious and healthy recipes, make sure you head over to the recipe section of this blog. We have all of our favorite healthy (and some not so healthy!) recipes listed for you right there in one spot. You can also drool over out latest on our Instagram page. If you are looking to get healthy and fit, come and join the super secret and awesome Simple Fit Forty Lifestyle community over on Facebook. We would love to have you join! 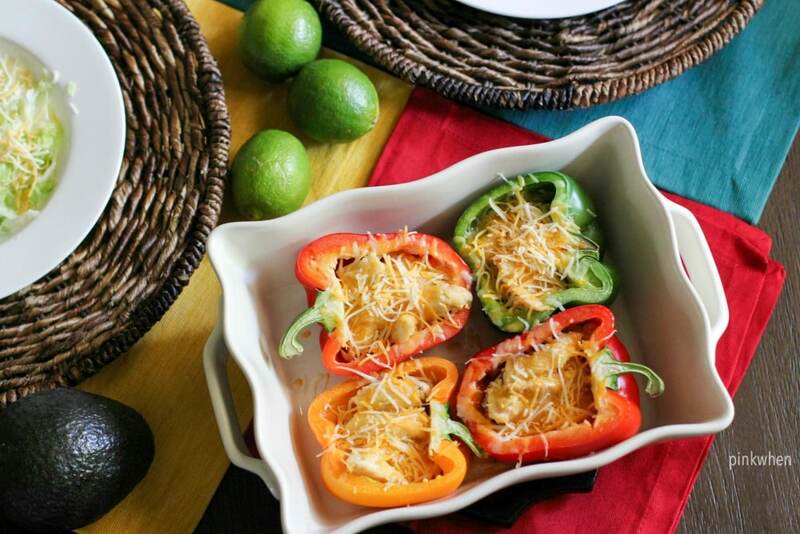 This delicious and easy stuffed bell pepper recipe is quick and easy to make. Full of flavor and packed with goodness. Mix quinoa and seasonings together and place to the side. Cut the bell peppers in half (if you haven't already) and clean out all of the seeds. Layer quinoa and top with grilled chicken. 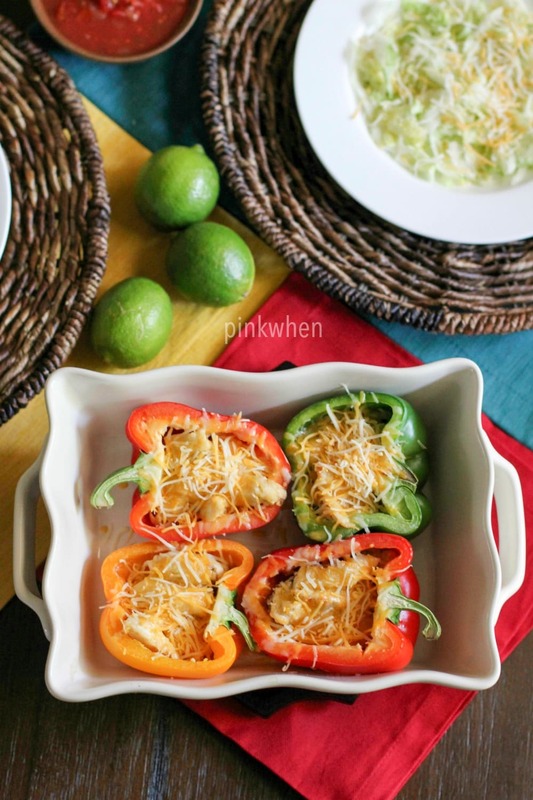 Completely stuff the bell peppers and then cover the top with cheese. Bake in the oven for about 10 minutes or until the bell peppers have softened. Serve over a bed of lettuce and top with salsa and a light sour cream if desired. 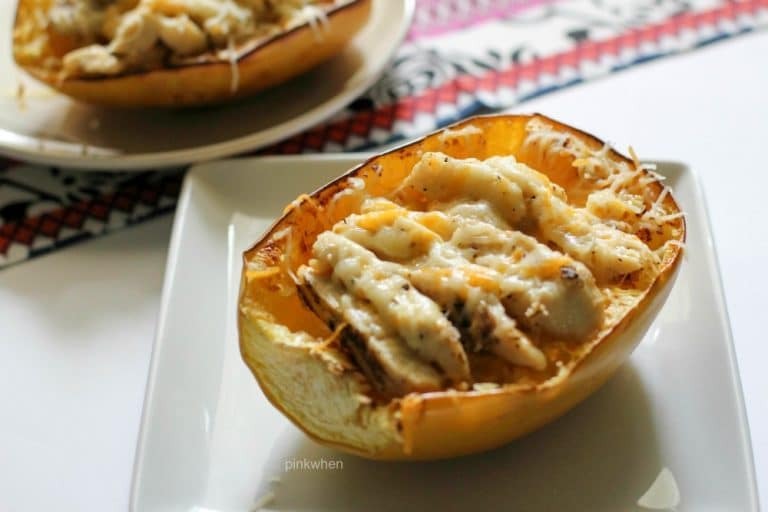 You might also like this cheesy chicken spaghetti squash. 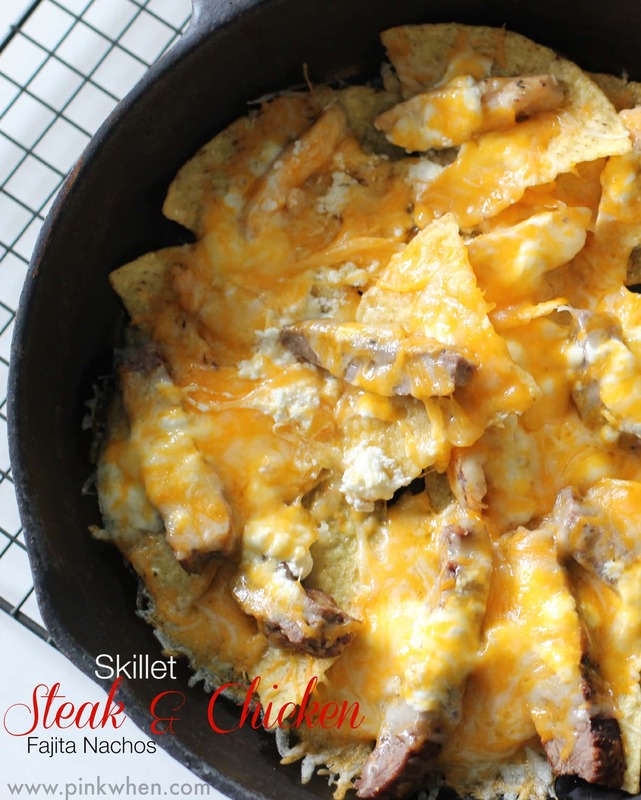 Or these simple skillet steak chicken and cheese nachos.